Create an ambiance of rustic beauty and captivating charm within your home with the Rancho Viejo Console. 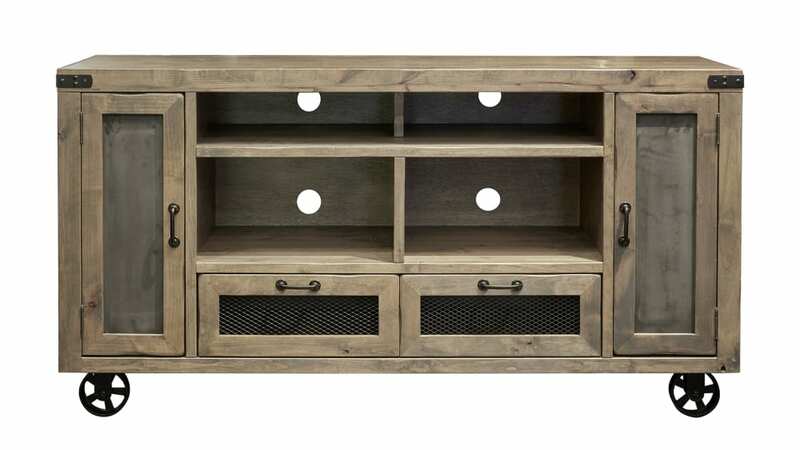 This TV console features ample storage space to ensure all of your equipment has a designated spot. 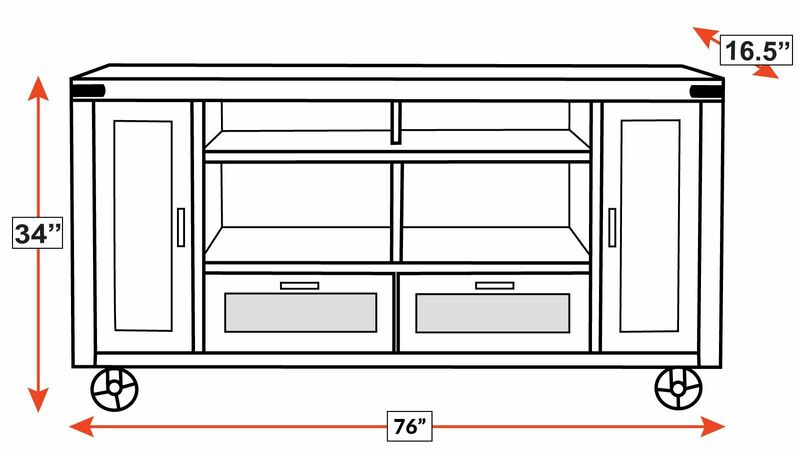 Take advantage of four open slots and two closed cabinets, and store your electronics in style. Two chalkboard cabinets and two metal mesh screen cabinets are perfect for storing Blu-Rays and other media accessories. The rustic distressed finish wonderfully contrasts the antiqued bronze hardware and chalkboard inset doors.